The Food and Drug Administration has finalized its guidance clarifying the agency’s hands-off approach to regulating mobile devices and apps. The agency has issued two documents outlining its position on medical device data systems and mobile medical applications, including those on smart phones. The documents reiterate the agency’s position that it won’t oversee low-risk medical devices, or will regulate them under a lower-risk classification. “Through smart regulation we can better facilitate innovation and at the same time protect patients,” the agency said. Communication is the key to any relationship – that’s what all the self-help gurus tell us. In which case, the relationship between the Food and Drug Administration (FDA) and the pharma and life sciences industry should be in for profound, positive change. If communications, feedback and guidance are improving, can the relationship be far behind? 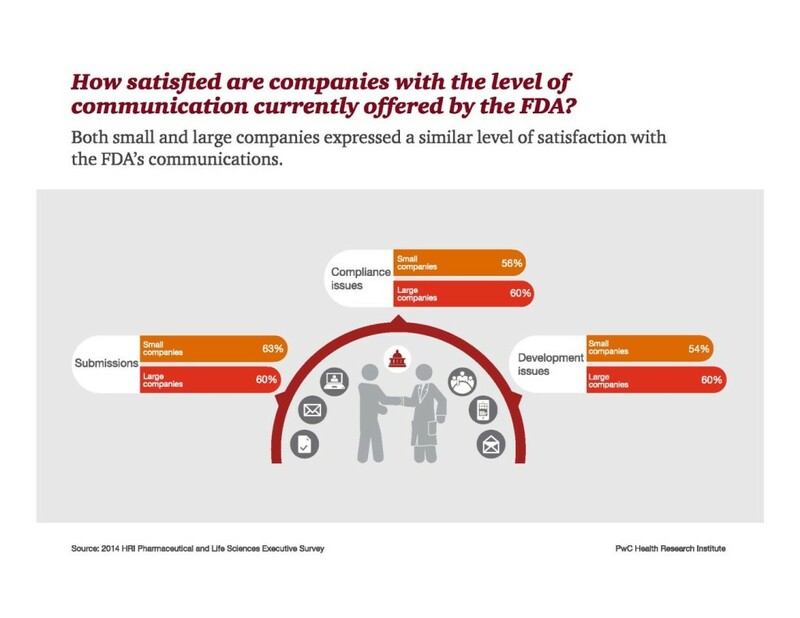 Both in our survey, and in a series of related interviews, it was clear that most company executives believe that their overall relationships with the FDA have improved over the past two years. It’s certainly a critical time for industry and the FDA to collaborate more effectively. Both the FDA and manufacturers face mounting pressures from an evolving health sector that places a premium on speedy access to breakthrough, cost-effective and safe medical products. This is all part of the emerging New Health Economy – a phenomenon driven in part by increased consumer involvement in healthcare decisions and payment. The $347 billion-a-year pharma and life sciences industry now answers to a new class of consumers who shoulder more of their treatment costs and who demand a greater role in product development. Some of that pressure comes directly from consumers and their advocacy organizations. Insurers and pharmacy benefit managers are also pressuring drug and device manufacturers as they face rising costs. Either way, the end result is that companies working to invent novel therapies and win regulatory approval must increasingly demonstrate the value those products bring rather than solely their medical benefits. Consistent with the New Health Economy’s pressures and incentives, executives’ attitudes have shifted dramatically when it comes to determinations of value. Forty-three percent now support the FDA evaluating a drug based on both clinical and economic effectiveness. This represents a major swing in sentiment over the past five years; the support for including economic effectiveness was only 14% in 2010. Our research also showed the executives understand that balancing innovation and risk requires tradeoffs. To improve access to new treatments, the industry is willing to consider regulatory reforms such as stricter post-market safety requirements and restrictions on promotional activities. Seventy-one percent of survey respondents agreed that accelerated approval programs should be balanced by stricter post-market surveillance. Indeed, additional protections once a drug goes to market might help allay fears that patients could be placed at risk by the acceleration of the drug-review process. But what about those newly-empowered healthcare consumers? HRI surveyed them as well, and consumers told us they want the FDA and industry to take their views into greater account. Only slightly more than one-third of consumers (39%) believe the FDA currently incorporates their views in the agency’s review process, and 38% percent say that drug and device manufacturers adequately consider them. 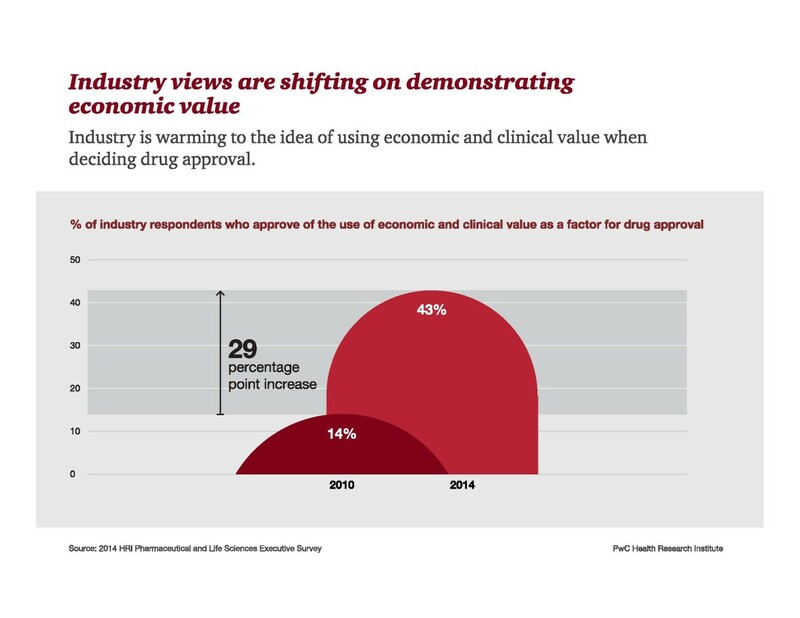 PwC has been periodically surveying the pharma life sciences sector since 1995, and looking back at all that data, it is clear that the relationship between the industry, its chief regulator and consumers has been one of continuous growth. But it must evolve even further to meet 21st century demands. A new framework for this complex relationship is needed to ensure America’s perch as a global leader in medical innovation and to focus investment where it will produce the most value. A closer, more collaborative bond among all stakeholders may create a more efficient development and regulatory process that leads to the next generation of treatments and cures. As in any relationship, improving communication is step one. What does the cancellation mean? Lots of potential tea leaves to read and no shortage of regulatory mediums. Bottom line – not a good thing for Celltrion. As to why, one thing to consider is the recent revelation that Hospira’s EMA-approved infliximab biosimilar (Inflectra) has shown some significant clinical differences from innovator and reference product Remicade. A bummer for Celltrion to be sure, but the lesson to be learned is that the filgrastim adcomm, viewed by many as a FDA love-fest should not be viewed as a broader predictive regulatory response to every biosimilar application. Many saw it as such because they wanted it to be true. Bummer? Not if you understand that the decision tree for biosimilars is quite different from the Hatch-Waxman pathway. And that for the foreseeable future, each biosimilar application is going to be an important learning experience for FDA reviewers and senior division staff. Repeat after me – there are no such things as generic biologics. But it’s human nature to believe what you want to be true. No doubt those who are disappointed out will “blame the FDA.” A “bummer” is in the eyes of the beholder. Focusing on issues such as price and market share are important. But minus a concentrated strategy to measure patient outcomes and address pharmacovigilance issues as they arise -- it’s putting profits before patients. And that’s not the spirit of the Biologics Price Competition and Innovation Act. California State Assemblyman David Chiu (D-San Francisco) has introduced a bill in that would require the manufacturer of any drug priced higher than $10,000 per year to report operational costs and profits associated with the product. The bill would require drugmakers to report profits attributed to drugs as well as expenses for R&D, clinical trials, acquisition, manufacturing, marketing, advertising and patient prescription assistance programs. Companies would also have to report grants associated with high-priced drugs. Chiu said the bill is meant to provide transparency as drug prices rise. Really? What about the cost of failure – which represents the lion’s share of pharmaceutical spending? Perhaps Mr. Chiu hasn’t been properly informed of the basic tenets of drug discovery. And maybe it’s time that was corrected. Or maybe he’s just looking for an easy headline. When it comes to the patient voice (or any voice), the plural of anecdote isn't data. But the plural of data is science. Patients who live with a disease have a direct stake in the outcomes of the drug review process and are in a unique position to contribute to the entire medical product development enterprise. Under FDASIA, the FDA will increase patient participation in medical product regulation. - Exploring means to provide for identification of potential FDA Patient Representatives who do not have any, or have minimal, financial interest in the medical products industry. Patient-Focused Drug Development under PDUFA V. The PDUFA V agreement provides for a new process enhancement under a commitment that will provide a more systematic and expansive approach to obtaining the patient perspective on disease severity or the unmet medical need in a therapeutic area to benefit the drug review process. In other words, the patient perspective will provide context in which regulatory decision-making is made, specifically the analysis of the severity of the condition treatment and the current state of the treatment armamentarium for a given disease. But patient input needs to be more than anecdotal – it needs to be data-driven so that divisional decisions can be more scientifically-driven by the patient community. And nowhere is that more urgently needed than in discussions over risk/benefit calculations. Steve Usdin’s cover story in BioCentury, “Calming the Pendulum,” makes the case in the first sentence, Regulators and drug developers have converged on the idea that enhancing and broadening patient engagement is a key to improving drug development and adjudicating controversies over benefit-risk decisions and the value of medicines. Absolutely right. But that’s not patient-focused drug development (after all, isn’t all drug development patient-focused), it’s patient-driven drug development. PD3. It’s time to change the name to properly fit the task. PD3 places the patient voice squarely in the middle of the drug development ecosystem. Usdin quotes Dr. John Bridges (senior fellow at the Center for Medicine in the Public Interest and Associate Professor at the Johns Hopkins Bloomberg School of Public Health) who says that the FDA’s use of decision-based preference data “changed the world.” If only it were that easy. Usdin writes, “Patient engagement provisions in the 21st Century Cures discussion draft were written based on input from patient groups, industry and FDA. They are intended to create regulatory certainty around the use of patient perspectives, including formal pathways for patient groups and companies to submit information about patient preferences, as well as defining how FDA will incorporate these submissions into approval and other decisions. In Bridges’ new paper, Identifying the Benefits and Risks of Emerging Treatments for Idiopathic Pulmonary Fibrosis: A Qualitative Study (The Patient, DOI 10.1007/s-40271-014-0081-0) he provides important qualitative evidence on stakeholders’ views as to important issues associated with emerging therapies for idiopathic pulmonary fibrosis. Bridges, et al., identifies multiple issues were identified spanning the impact of emerging therapies, including the need to document the patient experience with treatment, and factors associated with disease progression. The paper discusses the value of qualitative research both in understanding the benefits and risks of emerging therapies and in promoting patient-centered drug development. Patient passion is important to share. When combined with data and a more dispassionate understanding of regulatory paradigms, a patient-driven pathway can is, and must evolve into a tool used to impact regulatory decision-making. BIO members "can't get no satisfaction"
Question: Does that speak to a problem with the pathway or in the design of any given clinical program? One cannot be blamed for the other. SPAs were never meant to promise speed-to-market. Could it be a case of inappropriate sponsor expectations? Just asking. BIO’s survey also found that the majority of respondents have not utilized FDA’s enhanced communications program, and that the reason people give for not using the program is that they are not aware of its existence or what purpose it serves. Really? Or is the reason that what the program offers isn’t what sponsors want – or want most – direct communications with their agency review team. And, according to the BIO survey, smaller companies often don’t take advantage of FDA meeting opportunities. That’s truly unfortunate since the FDA said its own analysis shows that companies that have milestone meetings with the agency across all phases of development experience shorter clinical development (by a year or more) than those that did not engage at all milestones. Blame the FDA? What about blaming shortsighted corporate regulatory strategies? Reorganize R&D in pharmaceuticals? Not a problem. It hurt, but faced with petering pipelines and patent expirations on top-selling drugs, major drug companies moved quickly over the past three years to consolidate operations. They closed labs, slashed research staff, and sold off noncore ventures. They replaced those operations by forming partnerships with academic labs and licensing or acquiring promising drug candidates from small biotech firms, hardly skipping a beat on innovation. Reorganize getting paid in the drug industry? That’s a problem. In fact these days, the business appears to be at crisis point, as the first entries in a new generation of high-priced, highly effective drugs raise alarm and generate pushback from patients, insurance providers, and Congress. Much of the attention is on two expensive new drugs for hepatitis C—Gilead Sciences’ Sovaldi and AbbVie’s Viekira Pak. Also of concern is a related deal between AbbVie and Express Scripts, a pharmacy benefits management firm, or PBM. Rebelling against Sovaldi’s $84,000-per-treatment price tag, Express Scripts said it would offer Viekira Pak at a significant, but undisclosed, discount and exclude Sovaldi from its formulary. In response, Gilead cut a similar deal with the drugstore chain CVS. The U.S. Senate, also startled by Gilead’s asking price, convened a committee last year to investigate the drug’s cost. Meanwhile, patient advocates have come forward with concerns over the steep price of highly effective new drugs not only for hepatitis C but also for cancer and a variety of rare diseases. Moreover, they view the likelihood of formulary exclusion via deals between drug companies and PBMs as threatening access to treatment. It can be argued that nothing out of the ordinary is happening. Products that differentiate themselves from others in any market command high prices—consider the furor over a new smartphone—and two such products will often battle head-to-head for market share. Vying for exclusive deals with payers is a time-honored means of doing battle in many industries. Indeed, Gilead’s disclosures about such deals in its recent earnings statement led stock analysts at Morgan Stanley to estimate the firm’s average price for Sovaldi and Harvoni, another hepatitis drug, at $51,000 to $52,000 when discounts are taken into consideration. But drugs are not smartphones. Their critical role in people’s lives, the means by which their value is calculated, the method established for payment, and drugmakers’ outsized expectations for return on investment define a unique economy of access and reimbursement—one that industry watchers claim is no longer sustainable and is in need of change. The cost of developing and commercializing a new drug has risen to $2.6 billion, a 145% increase, corrected for inflation, over the past 10 years, according to a recent report from the Tufts Center for the Study of Drug Development. And drug companies want to recoup that investment. But the price of new therapies is increasingly determined by estimates of savings to the health care system over an extended period of time, a calculation that often yields a significantly higher figure than the mere investment cost. In short, if an effective new drug cures a patient of a chronic disease, the cost benefit of not having that person as a patient is factored into the treatment cost. As drugs impacting underserved therapeutic areas emerge, some fear that price and volume will combine to overwhelm the annual budgets of insurance companies and other payers. “I think of this as pressure building up,” says Glen Giovannetti, global life sciences leader at the consulting firm Ernst & Young, of the attention garnered by the hepatitis C drugs in recent weeks. Although Giovannetti sees nothing fundamentally new in dealings between the drug companies and insurers, he says there is cause for concern over the rise of formulary exclusion as more breakthrough drugs enter the market. According to Giovannetti, Express Scripts is “clearly sending a message” that it is also looking to form exclusive pacts with drugmakers over future cancer treatments. Goldberg is optimistic that genomics, big data, systems biology, and information technology—what he calls the digitization of the industry—will lead to transformative change in health care, but pricing and reimbursement need to accommodate them and ultimately facilitate patient access to new drugs. “We may need to change the way things are paid for,” he says. Whatever the causes, the cost of new treatments is a source of increasing alarm for patient advocacy groups. The Fair Pricing Coalition, a network of patient advocacy groups focused on HIV and hepatitis C, characterizes the high prices of new hepatitis C drugs and the deals between drug companies and PBMs as indicative of heightened obstacles to patient access ahead. “Hep C is the canary in the coal mine,” says David Evans, director of research advocacy at Project Inform, a member of the coalition. Sovaldi and Viekira Pak are perceived by patient groups as the first in a wave of high-tech, high-cost drugs, he says. They are concerned about the prices of such drugs and how squabbles among corporate giants impact availability. Cancer patient advocates are similarly concerned. “On the very positive side, especially in blood cancer, there has been a tremendous amount of innovation. The options available have increased dramatically,” says Brian Rosen, chief policy and advocacy officer for the Leukemia & Lymphoma Society (LLS). “On the other hand, the price of innovation is very high.” And the current reimbursement model requires patients and payers to pay up front for drugs priced according to estimates of long-term value to the health care system. Cara Miller, vice president of public affairs at Gilead, argues that the savings to the health care system justify the cost of Sovaldi and Harvoni. “Unlike long-term or indefinite treatments for other chronic diseases, Harvoni and Sovaldi offer a cure at a price that will significantly reduce hepatitis C treatment costs now and deliver significant health care savings to the health care system over the long term,” she tells C&EN. AbbVie makes a similar argument for its hepatitis C drug. “In determining the price of Viekira Pak, we took a number of factors into account including the overall market dynamics, the benefits of the therapy to patients, the cost-effectiveness of treatment, and the value that the product brings to offsetting short-term and long-term costs,” says Stefanie Prodouz, the firm’s senior manager of public affairs. She adds that the deal with Express Scripts is indicative of the company’s efforts to ensure that patients other than just the sickest are able to get Viekira Pak. Douglas Paul, a partner at Medical Marketing Economics, an Oxford, Miss.-based consultancy to the pharmaceutical industry, agrees that pricing needs to take a drug’s efficacy into account. “Historically with hepatitis C, we paid $30,000 for a 30% cure, $60,000 for a 60% cure, and now we are paying $90,000 for a 90% cure,” he says. Moreover, Paul contends, the flash point between Gilead and payers over Sovaldi occurred not because of the high price of the drug but because of the high volume of patients seeking access. Paul views the recent developments in hepatitis C as normal market activity—two highly differentiated products came on the market at the same time, and price competition led to deals with insurers. He does not view such deals as restricting patient access because the drugs are of equal efficacy. Nor does every hepatitis C patient need the new drugs right away, he adds. Paul also expresses frustration over payers’ failure to prepare for Sovaldi, which the Food & Drug Administration approved in December 2013, in their budgets for 2014. He and others point to Gilead’s $11 billion acquisition of Pharmasset—which discovered Sovaldi and had taken it through Phase III clinical trials—and the drug’s strong clinical results as sufficient indication that something big was due in hepatitis C.
David Whitrap, corporate communications director at Express Scripts, begs to differ. “Nobody anticipated that the $11 billion purchase price of Pharmasset would lead to an $84,000 price of Sovaldi,” he says. “When Gilead did ultimately price Sovaldi at that level, they were able to recoup the entire Pharmasset investment in only one year—far sooner than acquisitions of that level generally pay off.” He adds that budgets for payers are generally set long before the December immediately preceding the benefit year. He points out that some patient advocacy groups, including the AIDS Healthcare Foundation, applauded Express Scripts’ deal with AbbVie. Indeed, the group issued a strongly worded statement condemning Gilead for its pricing of Sovaldi. Miller notes that the issues of drug pricing and reimbursement have garnered interest on both sides of the aisle on Capitol Hill in the wake of the Senate investigation of Gilead and Express Scripts’ deal with AbbVie. Democrats, who have long pushed for price controls, are glad to see the pressure on Gilead, he says. Republicans like that free-market forces are being applied. The American Enterprise Institute, a conservative policy and economics think tank, is among the voices suggesting alternatives to the current payment system. Scott Gottlieb, a fellow at AEI and former FDA deputy commissioner for medical and scientific affairs, coauthored a report last year suggesting various means of spreading payments over time, including reinsurance and amortization. According to Gottlieb, such a change would be the second shoe dropping on a reengineered drug industry. “They have changed their whole R&D model, but they haven’t changed their payment model,” he says. Gottlieb doesn’t see any of the stakeholders stonewalling on exploring new modes of finance. Not even the drug companies. “They are not resistant to the idea of amortizing these costs and smoothing out their earnings,” he says. At the moment, however, payers and patients are pointing their fingers at the drug companies in what Gottlieb characterizes as a cycle of recrimination that currently puts big pharma in the crosshairs. He says disease advocacy groups such as LLS and the Multiple Myeloma Research Foundation are gathering data on patients that may provide a corrective force. Discrimination lawsuits brought by patient groups against PBMs may have an effect as well, he says. The key, Goldberg argues, is to determine the value of drugs by focusing on their long-range benefit to the health care system and to patients—but to facilitate access up front. Big Pharma marketers understand (and correctly so) that social media is a long-term play. It doesn’t deliver ROI in the same timeframe as DTC or couponing or any of the more traditional tools of the trade. “Mobile,” as crucial as it is to any successful marketing effort, isn’t social media. It is one platform on which social media exists. Have pharma brand marketers “figured out” social media? Yes. They have figured out that it is not ready for prime time in their 20th century "blockbuster" marketing primer. That which gets rewarded gets done. Corporate communicators feel differently. They see social media as the wave of the present. They understand social media as an indispensible tool not just for crisis communications but for corporate identity, alliance building, and for being at the hub of the healthcare communications ecosystem. They’ve figured it out – but don’t have the budgets to really make it happen to scale. More’s the pity. And, of course there are those still “waiting for the FDA.” To those folks, here’s a question to ponder, what about the agency’s Correcting Independent Third-Party Misinformation About Prescription Drugs and Medical Devices draft guidance? If a firm voluntarily corrects misinformation in a truthful and non-misleading manner and as described in this draft guidance, FDA does not intend to object if the corrective information voluntarily provided by the firm does not satisfy otherwise applicable regulatory requirements regarding labeling or advertising, if any. Will expanded government extortion result in fewer settlements? Will the NIH have to admit to its true role in drug development? Should drug makers that break the law be required to pay an extra penalty that would be used to fund the National Institutes of Health? Sen. Elizabeth Warren (D-Ma.) believes this idea would not only provide needed money for medical research, but would help persuade drug makers to curtail bad behavior. Last month she introduced a bill, the Medical Innovation Act, that she has described as the equivalent of a swear jar. Basically, drug makers that reach settlements with the federal government for paying kickbacks to doctors, defrauding Medicare or Medicaid, or illegally marketing medicines would have to pay 1% of annual net profits for each blockbuster medicine that originated with government-funded research. However, the law would only apply to drug makers with more than $1 billion in net profit. The U.S. Department of Health and Human Services would be chartered with calculating payments, which would actually run for five years. Why? This is the same amount of time covering most settlements reached between drug makers and the Department of Justice. No estimates were given on how much money might be raised for the NIH, but if the law had been in place five years ago, Sen. Warren claims the NIH would have gained an extra 20% in annual funding, or roughly $6 billion, on average, each year. This is real money. “We should make it easier for the biggest drug companies to help develop the next generation of cures, and harder for them to profit from breaking the law and defrauding taxpayers,” she told a conference last month. The payments, she noted, would be in addition to any settlement paid by a drug maker. Not surprisingly, the pharmaceutical industry is having none of it. The trade group representing large drug makers slammed the proposal, calling it “misguided” and suggesting that needed money would be “siphoned” from research that develops new medicines. Some also argue that Sen. Warren wrongly inflates the NIH’s role in creating drugs. She “should acknowledge the reality rather than trying to score political points that don’t match up with the facts,” says industry consultant Peter Pitts, a former FDA associate commissioner for external affairs. Meanwhile, the amount of money the bill may generate is a question mark, since this depends on the number of settlements. Pat Burns of Taxpayers Against Fraud, a nonprofit funded by attorneys, says numerous cases are under way. Drug makers are already grumbling that device makers are exempt, because the bill focuses on companies that sell blockbuster drugs. But any company that sells both products could be subject to a penalty. The real issue, though, is that the pharmaceutical industry is expected to fight back. For more on this, see this story in The Hill. PBMS Cash In On Chronically Sick Patients.. In a really, really big way: "growing demand for expensive specialty drugs helped increase revenue from its pharmacy benefits management, or PBM, business nearly 22 percent in the quarter to $23.9 billion." "More health insurance plans on the exchanges are placing drugs to treat complex diseases at the highest cost-sharing tier in 2015 when compared to the previous year, according to a new analysis from the Avalere Health consulting firm." I wrote about this pyramid scheme in my NY Post article. WIth exception of Adam Fein, no one else seems to cover this issue or care. That's because it doesn't fit the narrative of BIG Pharma generating huge profits at the expense of patients.. Which is why no one writing about specialty drugs mentions that reduce total health care spending are only 5 percent of total health care spending. This week the FDA proposed cutting out the paperwork and cost required to submit a ' request' to use a medicine that hasn't approved but has demonstrated that it is relatively safe given the clinical benefit and urgency of the medical condition. As the agency noted in a blog discussing the change: the previous request form called for 26 separate types of information and seven attachments. In fact, it was originally designed for manufacturers seeking to begin human testing, not for physicians seeking use by single patients." This simple step could save thousands of lives and increase the number of people seeking to try a new medicine as early as possible. All of which begs the question of why we need compassionate use exemptions at all. Why not turn Phase 2 and 3 into a study of people using medicines in the real world? Joseph Cooper notes in "Regulating New Drugs that "the ultimate test of safety and efficacy is how man responds in significant numbers under diverse conditions over relatively long periods of time. We have tended to substittue for that ultimate test one of the fads of the times -- the scientifically controlled double blind trial "
Cooper wrote that in 1972. We have not come very far since then. In fact, the fad of that time has become Holy Writ. Peter and I wrote a publication about how to use molecular markers and digitized real world data to accelerate all drug development and to turn medicine into a true learning system. Very little of what has been written since then is more than a footnote to our original work. And in turn, our work was shaped by the thinking of Cooper and others such as the late Nobel Laureate Josh Lederberg who wondered aloud "if innovation was possible" under the current regulatory regime. Respected cardiologist Dr. Robert Califf appears to be a top candidate to be the next head of the Food and Drug Administration but may face heated Senate queries over close ties to pharmaceutical companies if nominated for the post. The Duke University cardiologist and researcher was appointed as the agency's deputy commissioner for medical products and tobacco by the FDA last month and will start in March. At the time, several FDA and industry insiders believed the appointment signaled that Califf would be FDA Commissioner Dr. Margaret “Peggy” Hamburg's eventual successor. Now that Hamburg officially resigned last week, insiders continue to believe Califf will be selected by President Obama to fill the position. “I have a short list of one person, and that is Robert Califf,” Peter Pitts, president of the think tank Center for Medicine in the Public Interest, told the Washington Examiner. Pitts, a former FDA associate commissioner, said Califf would have bipartisan appeal. He was interviewed for the top job during the Bush administration and the Obama administration. Califf currently serves as vice chancellor of clinical and translational research at Duke University, and was founding director of the Duke Clinical Research Institute, which conducts clinical trials for several drugmakers. He will take a leave of absence from the university to fill the deputy director position. Califf is a logical choice because he is an accomplished researcher who has more than 1,000 manuscripts to his name, which is a rare feat, Dr. Steven Nissen, chairman of cardiovascular medicine at the Cleveland Clinic, told the Examiner. Nissen and Califf clashed at times while serving on FDA advisory committees, but Nissen said his colleague has a high degree of scientific integrity. Califf was part of the Institute of Medicine committees that recommended Medicare coverage of clinical trials and the removal of the unsafe weight-loss supplement ephedra from the market, the FDA said. While Califf has extensive research credentials, he also has extensive ties to the pharmaceutical industry. He has received research grants from pharmaceutical giants Novartis, Johnson & Johnson, Lilly, Merck and Schering-Plough. He also consulted for Boehringer Ingelheim, Bayer, Bristol Myers Squibb, device giant Medtronic and other companies, according to a disclosure statement on the Duke institute website. Califf was named to the board of directors for San Francisco drug manufacturer Portola Pharmaceuticals in 2012 but resigned soon after being appointed to the FDA post. Nissen conceded that the ties could be a liability and may come up during a confirmation hearing. Another potential focal point during confirmation could be Califf’s handling of a data fabrication scandal while at Duke. Califf was vice chancellor of Duke’s clinical research division when Dr. Anil Potti was caught in 2012 fabricating cancer research. Califf told CBS News that year he is responsible for retracting Potti’s various papers in medical journals and implementing new oversight procedures at Duke. To be confirmed, Califf must first be vetted by the Senate Committee on Health, Education, Labor and Pensions. The White House hasn’t announced a timeline for selecting a replacement. Press secretary Josh Earnest said during a briefing Friday the president will want someone with “impeccable medical and scientific credentials” that can also muster strong bipartisan support. Califf did not return a request for comment as of press time. During a recent conference call with reporters on the deputy director appointment, Califf said that such a promotion “has not been a part of the discussion,” according to the Wall Street Journal. The state Medicaid office has settled a federal lawsuit brought by three cystic fibrosis patients who were denied the drug Kalydeco because of cost, the Wall Street Journal reported yesterday. Catherine Kiger, Elizabeth West and Chloe Jones filed the suit, Kiger v. Selig et al, last year saying the state had violated their civil rights for two years by denying them the drug. The settlement was filed Thursday in federal court in Fayetteville. Kate Luck, a spokesperson for the state Department of Human Services, said the settlement involved no monetary awards, but the state, which changed its criteria for eligibility for the drug prior to the settlement, has agreed not to change those criteria for two years. Should the state deny the drug to a Medicaid patient, it must provide the court reasons why and the court may jurisdiction over the state's decision. ask the state "to outline the reasons for denial," Krell said. The courts do not have jurisdiction over the decision. The only thing they can do is ask us to outline the reasons for denial. The state previously had required the patients to prove that less expensive therapies had failed to work and, according to the WSJ, "patients seeking to have their prescriptions reauthorized by Arkansas Medicaid were required to prove they had better lung function, weight gain and fewer hospitalizations with the drug." The state no longer requires the patients to use the standard therapy (Pulmozyme and hypertonic saline) for 12 months before being considered for Kalydeco or to show evidence of failure on the standard therapy, Luck said. She said the studies were "made in response to more recent studies that were released on the drug. Arkansas has covered Kalydeco since 2012 and approved its first patient for coverage in 2013." The manufacturer of Kalydeco, Vertex, of Boston, had declined to provide the drug free through its patient-assistance program. The drug targets a specific genetic cause of CF, and Luck said the state estimates that only seven CF patients in the state Medicaid program whose disease is caused by the particular gene mutation. While Luck said the denials were not "necessarily because of cost," she added that that the drug is "very expensive" and a "lifetime drug." The annual wholesale cost of the drug is $311,000, according to the WSJ. The FDA is not a monolithic entity. The agency is comprised of over 16,000 dedicated public servants whose areas of expertise and responsibilities range from pharmaceuticals to food, veterinary products, cosmetics, medical technology, dietary supplements, and beyond. It’s fair to say that Dr. Hamburg came to White Oak at a time when the FDA was under a cloud. Whether or not the criticism the agency was receiving was fair (most of it was not) isn’t the point. Morale was low. Moral authority amongst constituents was fading. Global leadership was ebbing. PDUFA reauthorization was pending. Peggy did not walk into a cushy job and had a steep learning curve. Perhaps most importantly is that faith in the FDA is stable and improving and staff morale is vibrant. Rather than the facile and ignorant drumbeat of “blame the FDA,” groups ranging from the pharmaceutical industry, to patients groups, Congress, academia, and healthcare practitioners are beginning to realize (some faster than others) that FDA is a crucial partner – indeed a senior partner -- in the innovation ecosystem. Peggy Hamburg is leaving the agency in a better place than she found it. She has successfully set the tone for the 21st Century FDA -- an impressive and gutsy millennial course. And that’s as good a legacy as any commissioner could want. President Obama is calling on Congress to improve the nation’s health by increasing the development of precision medicines — treatments that target the underlying cause of life-threatening diseases. He says he wants to ensure everyone has access to the right drugs at the right time, because it can reduce the cost of health care and save lives. That’s great. Too bad that, under ObamaCare, people are getting fewer targeted treatments and paying more for them. In his State of the Union, the president mentioned Bill Elder, a 27-year-old medical student being treated for a rare form of cystic fibrosis with Kalydeco — which, the president noted, “has reversed a disease once thought unstoppable” by turning off the genetic mutation causing his disease. Yet Kalydeco isn’t easily available under most health plans. Ask Chloe Jones, a 14-year-old Arkansan with the same type of cystic-fibrosis mutation. That is, she has to get sicker before getting the medicine that shuts off her disease. Chloe’s not alone. Nearly 70 new treatments precisely target the underlying causes of disease; many, like Kalydeco for CF or Herceptin for breast cancer, target specific disease paths or benefit specific groups of patients. Compared to trial-and-error or wait-and-see care, matching the right treatment to patients is much more cost-effective, especially for the person who’s sick. Yet health plans are covering fewer new precision medicines, instead forcing patients with CF, cancer, multiple sclerosis, psoriasis and HIV to get sicker before they can use them. And when they do allow access, they’re forcing patients to pay up to half the new medicines’ cost. Yet ObamaCare is exacerbating this pre-existing problem with our system — by accelerating the transformation of prescription-drug coverage to a vast pyramid scheme. Thanks to the ObamaCare law, health plans now enroll people under the promise of covering anyone with a pre-existing condition — but those same plans make it increasingly difficult, if not impossible, for these people to get the medicines they signed up to receive. At the center of the scam are pharmacy benefit managers, or PBMs. These are the firms that actually develop and run the drug benefits for health plans. PBMs bargain with drug makers to get discounts or rebates for including their pharmaceuticals on “formularies” — the list of drugs your health plan covers. ObamaCare has already accelerated consolidation in this obscure industry, to the point that just two PBMs now control the drug benefits of nearly 200 million Americans. The two firms are using their vast market power to extract big rebates from drug companies in exchange for including precision medicines on their formularies. Increasingly, PBMs are only covering one precision medicine for a given condition — the drug made by the company that offers them the biggest rebate. That’s what happened with the new drugs for Hepatitis C. One big PBM, Express Scripts, is only covering the drug Viekira Pak; the other, CVS/Caremark, has made two other new medicines, Sovaldi and Harvoni, the exclusive “precision” options for patients with hepatitis C.
Left-leaning health-care “reformers” hail these pay-for-play schemes as ways to reduce health-care costs and make new medicines more affordable. But the discounts don’t help patients. Instead, the PBMs will pocket about $3 billion in rebates from these drugs this year. And you can expect them to apply the same protection racket to medicines for cancer, MS and psoriasis. Even then, more than 60 percent of health plans require patients to “fail first” on less precise drugs for HIV, multiple sclerosis, cancer, psoriasis and other illnesses. The outrages don’t stop there. When the PBMs and plans finally stop excluding access to a precision drug, they often still force people to pay thousands out of pocket for the medicines — up to 40 percent of the cost. Insurers and PBMs profit from all this, but it’s a waste of health-care dollars even though precision drugs are so costly. Indeed, studies by Columbia University economist Frank Lichtenberg show that access by patients and their health-care providers to new medicines promotes longer, higher-quality life and better health care at a lower total cost. And health-outcomes expert Dr. Susan Horn has found that when you’re “failing first” on a cheaper drug, you’re not only more likely to miss work, but also to run up other medical bills related to your illness. And even the cheaper drug still costs. Precision medicines, while expensive, save money by eliminating guesswork, use of ineffective treatment and costly health services. Lichtenberg notes that every $1 spent on new medicines saves about $6 in other medical costs. If Obama wants to usher in an era of precision medicine, he should work to replace “fail first” or “step therapy” approaches with value-based precision therapy, and to end the practice of forcing patients to pay the highest prices for the most effective medicines. News today that FDA Commissioner Hamburg will resign tomorrow. More on this to be sure – but for now let’s just say that she’s leaving the agency in a better place than she found it. She set the tone for the 21st Century FDA -- an impressive and gutsy millennial course. Here’s the New York Times report. Much on the horizon for her successor, beginning with working to shape PDUFA VI. And who better to do this than … Rob Califf. Today is World Cancer Day. The goal of this annual event is to generate support and awareness to ensure "all people have the right to access quality, effective cancer treatment and services on equal terms,regardless of geography and without suffering economic hardship as a consequence." The way to do so: high prices for medicines. As Tomas Philipson points out in his op-ed today in Forbes, the doctors who are only able to pass themselves off as economists because they refuse to debate real economists with real evidence, claim a 'just price' is a price that is... well, less than what they think is 'fair.' Or a price that is set by government. Which is one and the same to these faux financial experts. "The current pricing debate is misguided because it is the price of health, and not healthcare, that is the key to patient health. Before a new innovation, the price of better health is effectively infinite for some patients who do not respond to existing treatments because they cannot buy better health. Thus, regardless of price charged for a new treatment it always lowers the marginal price of health for some patient populations. For example, before the breakthrough therapies for HIV in 1996, infected patients could not buy a longer life at any price. Regardless of the price of the new HIV drugs that came on the market, the price of buying a longer life thus fell. When generics come in, the price of health falls even further but is not captured as returns to the innovators ultimately responsible for it. What these misperceptions make clear is drug pricing is more complicated than self-interested buyers (Memorial Sloak Kettering, MD Anderson) will have you believe. Although their misguided policy proposals are of course well-intended, if taken seriously they could have very harmful impacts on patients who have no existing options to limit the impact of their diseases." These misperceptions persist in large part because their purveyors duck and dodge when asked to debate or discuss in pubiic, one on one. Rather, they retreat to the security of publications, forums and programs that allow them to manufacturer serious sounding statements that are factually inaccurate and misleading. If I didn't know better, I'd say that these pretend economists are afraid to engage directly with Philipson, Frank Lichtenberg, Tufts's Josh Cohen or anyone else that would challenge their version of the truth. The danger is that if these opinions become the foundation for pricing policy here, it will reduce investment and ensure that onlly the very rich get access to life saving drugs. Today, senior FDA officials and representatives from leading patient and health policy organizations are meeting in Washington, DC to discuss the urgent and contentious issues surrounding expanded access to investigational drugs. Yesterday I keynoted the “Expanded Access Programs: New Models for Stakeholder Collaboration, Program Design, Supply Equity and Access for Investigation Drugs” conference. I was pleased to share the day with colleagues such as Richard Klein (Patient Liaison Program Director, FDA’s Office of Health and Constituent Affairs) and Diane Dorman (Vice President for Public Policy at NORD). The full program can be found at www.cbinet.com/eap. There is “therapeutic misinterpretation” of early scientific data resulting in some patients asking for access to investigational products based on mouse data! Patients see reporting of promising early data in places like USA Today and immediately call the FDA. Better “expanded access IQ” isn’t just reserved for patients – but is also needed for physicians. Many doctors are unsure of just what there roles and responsibilities are relative to expanded access protocols. Is this even taught in medical school? And then there's the issue of physicans being concerned (and rightfully so given our litigious society)) about liability issues. The urban myth that adverse events reported through expanded access programs derail the success of FDA approval is not supported by facts. Richard Klein repeatedly told the conference that (to his knowledge) there were no examples of this – and he’s contacted his FDA colleagues in search of such circumstances. Perhaps it’s time for industry to gather examples – if they, in fact, exist – and share them with the FDA as a tool to correct the problem. Is “expanded access” even the right term to use? It means one thing in the US, and completely unrelated things in other countries. In the UK, for example, “expanded access” is a reimbursement strategy for approved products. How can IRBs be restructured to expedite review rather than being a bottleneck? In the words of the great health policy guru, Buffalo Springfield, There's something happening here / What it is ain't exactly clear. Another issue that remains at-large is who pays for access to these unapproved drugs? What a company can charge is regulated (via draft guidance), but sometimes the drug company will bare all costs, other times some costs, and just as often it’s the patient who writes the check. And IRB and other related costs are often borne by the patient. Perhaps there’s a role for the Federal government. How about a fund that pays for access for any approved FDA expanded access IND or protocol? I propose that this issue should be a key part of the pending 21st Century Cures legislation being drafted by Representative Fred Upton, the Chair of the House Energy & Commerce Committee and by Senator Lamar Alexander in the Senate. All sides want the same thing -- expedited expanded access programs. But name-calling and bridge burning doesn't bring anyone closer together or experimental drugs to dying patients any faster. Let’s expedite access by enlarging the Expanded Access Ecosystem. My complete keynote remarks (including commentary on Abigail Alliance v. von Eschenbach and the Right-to-Try debate can be found here. When it comes to myths about healthcare, one of the great shibboleths is that Big Pharma profits from innovation “that comes primarily from the NIH.” It’s never been true – and now a new study confirms it. A study in Health Affairs by Bhaven N. Sampat and Frank R. Lichtenberg (What Are The Respective Roles Of The Public And Private Sectors In Pharmaceutical Innovation?) http://content.healthaffairs.org/content/30/2/332.full.html puts the issue in a data-driven perspective that gives the NIH its due – but in the proper frame of reference. 478 drugs in our sample were associated with $132.7 billion in prescription drug sales in 2006. Drugs with public-sector patents accounted for 2.5 percent of these sales, while drugs whose applications cited federally funded research and development or government publications accounted for 27 percent. This is an important article that contains much data analysis worthy of careful consideration by the healthcare policy community. Specific consideration should be given by Senator Elizabeth Warren, whose new draft legislation, the so-called “Medical Innovation Act,” would result in less R&D investment by the true drivers of progress – the private sector – resulting in less innovation. Senator Warren’s suggestion that a percentage of private sector profits be used as a “fee” would have a chilling effect on future investments in R&D by biopharmaceutical companies subject to the legislation. Senator Warren’s proposal inaccurately argues that because the proposed fee would only be coming from net profits – after business and R&D expenses have been accounted for – it will not impact investment in drug development. Given the lengthy R&D process to develop new medicines – an average of at least 10 years for one new drug – biopharmaceutical R&D is characterized by long-term R&D investment strategies across R&D portfolios. Thus, a portion of profits earned by innovative biopharmaceutical companies today are used to fund future research. If a percentage of those profits are used for the proposed fee, then there may be a chilling effect on future investments in R&D by biopharmaceutical companies subject to the rule. Facts are pesky things. The National Institutes of Health plays a vital role in basic research and early discovery, but is robbing Productive Peter to pay Government Paul the best bang for the buck when it comes to advancing public health? As Sampat and Lichtenberg show, the engine of innovation is the biopharmaceutical industry, which spends in excess of $50 billion annually on research and development. It's not a competition; the NIH and industry complement each other's efforts. But context matters. The NIH focuses on basic research, the study of fundamental aspects of phenomena without specific applications. The biopharmaceutical industry addresses most of its R&D toward clinical research, science focused on the actual development of new medicines. The NIH provides grants to academic institutions. Industry employs the scientists who do the work and, increasingly, funds academic research. Alas, headlines for hyped and misleading "NIH-funded cures" are far sexier than those for "more money for drug regulation." Pursuing misguided policies that siphon funding from the groundbreaking medical research happening in the biopharmaceutical industry will have devastating consequences for patients and society. The proposed legislation would result in fewer medicines for patients and lost jobs at a time when our economy can least afford it. Senator Warren and others should pay heed to the facts and avoid the fiction. They are inversely important to advancing 21st-century healthcare.